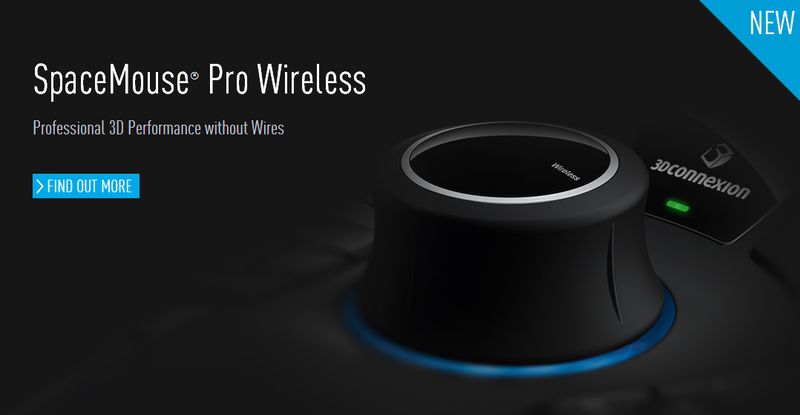 Shortly after I posted my review of the SpaceMouse Pro, the good folks at 3Dconnexion released a wireless version of the powerful input device, the SpaceMouse Pro Wireless. 3Dconnexion also released the 3DxWare 10 driver, which extends the mouse beyond 3D software and into programs like Microsoft Word and Internet Explorer. The official release reportedly includes many new features, including a new onscreen Radial menu. There's more information available on the 3Dconnexion website.